The election of Joko Widodo, or Jokowi, in July 2014 came with high hopes that he would bring positive change to Indonesia. Many of those hopes have been dashed in the fifteen months since he took office in the October of that year, as decision after decision fell short of his supporters’ expectations. Disappointment has perhaps been greatest among the human rights activists who gave their all in his support in the dying weeks of the campaign. 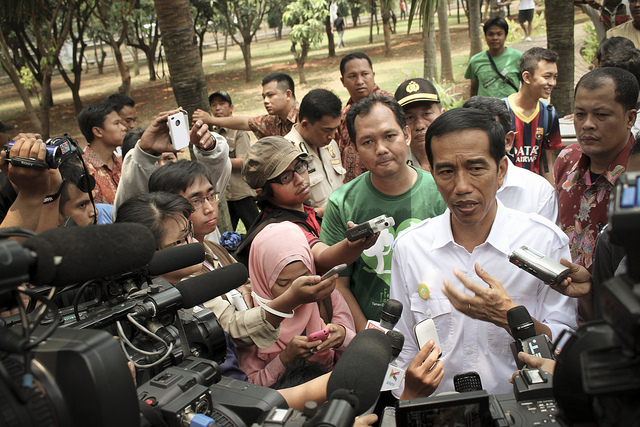 This edition of Inside Indonesia explores how human rights issues have fared under Jokowi’s government and the strategies activists have adopted in response to his style of leadership.